“And that’s how trees get planted!” exclaimed comedian Sarah Silverman (last night at Caesars Windsor) at the end of a particularly funny bit about how squirrels misplace 80% of the nuts they hide every winter and how these adorable creatures’ manic, OCD, memory-challenged behavior must be an evolutionary development to ensure our lands remain appropriately forested. The moment was less of a punchline to a joke and more of a personal epiphany that she just couldn’t NOT share with audiences far and wide. And it was priceless. An hour-and-a-half of Silverman in person was much different than ten minutes of Silverman on a late night talk show. Coming off more like the lovechild of Rachel Maddow and Fanny Brice and less like Joan Rivers’ gross-out “mean girl” baby cousin, Silverman was delightfully and justifiably caustic yet accessibly and appropriately bewildered by a world that seems determined to dial back the clock to the Dark Ages. Silverman is an avowed feminist (with a seemingly incongruous penchant for cocktail napkin jokes that wouldn’t have been out of place in a 1950s Moose Lodge), an ardent atheist (with a sister who has devoted her life to God as a rabbi in Jerusalem), and a fierce animal rights defender (who tells morbid jokes about whether or not she should put her dog to sleep now to save her and her pooch from a lifetime of pain). Like any successful comic, Silverman’s best material plays at the tension between affirmed values and the reality of living in a truly messed-up world. Her strongest material Saturday night eviscerated our sexist double standards, while simultaneously tromping around the very hypersexualized muck that doesn’t do anyone’s gender perceptions a darn bit of good. Her take on the absurdity of handing Barbie dolls to little girls and expecting any outcome other than “creating a generation of gold-diggers and whores” was as incisive as it was retrograde. I won’t spoil the jokes in that section; they didn’t necessarily cover any new territory (“Barbie’s feet are shaped so she can only wear high heels!”), but the delivery and the context were so sharp, so acidic, so damn funny that not one person in the Colosseum last night will ever look at a Barbie doll the same way (let alone give one as a gift). And that’s a good thing. Her greatest subversions last night, however, were in marrying the personal and the political. Discussing her heritage as a Jewish woman growing up with an unfiltered father in New Hampshire, she noted that, while he had escaped the trauma of his abusive father in joyous summers spent as a camp counselor, he inadvertently tortured his own anxiety-ridden, chronically bed-wetting daughter (Sarah) by forcing her to continue the summer camp tradition in her youth. Referencing her holier-than-thou (literally) rabbi sister, Silverman related a situation where her sister described nearly everything about an Ethiopian acquaintance Sarah would soon meet, except the fact that said friend had lost both hands in a land mine accident, something Sarah learned only when she awkwardly went to shake the woman’s … hook. In an extensive discussion around Silverman’s own atheism and her passion for women’s reproductive rights, she referenced a benefit she performed in Texas. She crossed the street to talk to the protestors who were decrying her work, and she was met by a little girl who hissed “God hates YOU!” Silverman pondered – after telling the girl a scatalogical joke that bonded them both (ironic) – how could she fervently insist that these folks not believe in “their sky king” (her words), beyond a shadow of any doubt, without becoming as obsessively bullying as the very evangelicals she despised? Silverman’s show was at its most effective when she was telling us stories about the contradictions in her life, noodling through making sense of it all. She seemed exhausted – that could have been the cold from which she was visibly suffering, including a handful of well-placed comic nose blows. If the cold was a bit, she should keep it. It gave you the sense of having a conversation in the living room with a world-weary friend or neighbor who saw this planet through the cracked lens it deserves. She admitted as well that she was trying out material for a new comedy special – some of it worked, some of it didn’t; some of it seemed lazy and slapdash, some of it seemed urgent and inspired; some of it meandered to a piquant conclusion, and some of it just meandered. I, for one, enjoyed being part of her process of discovery and experimentation, but I’m weird like that. 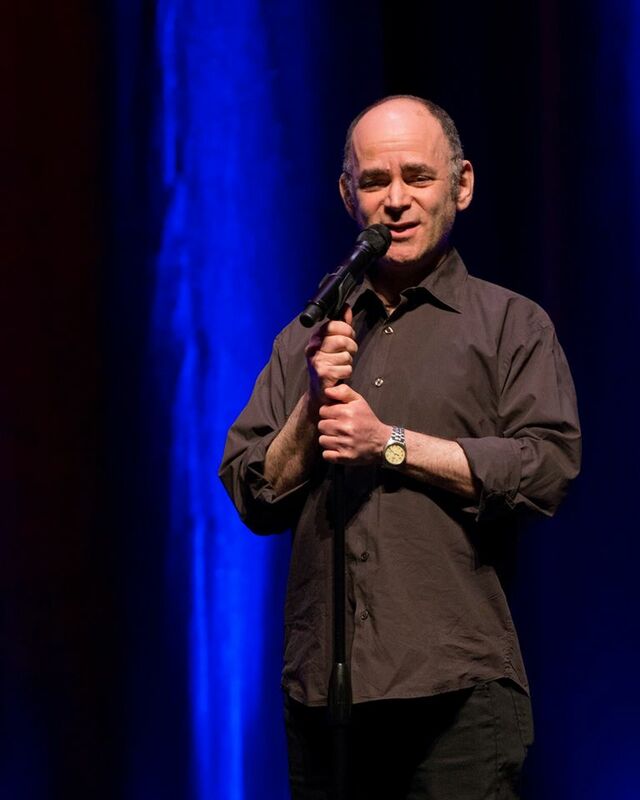 As for Silverman’s opening act – Todd Barry? 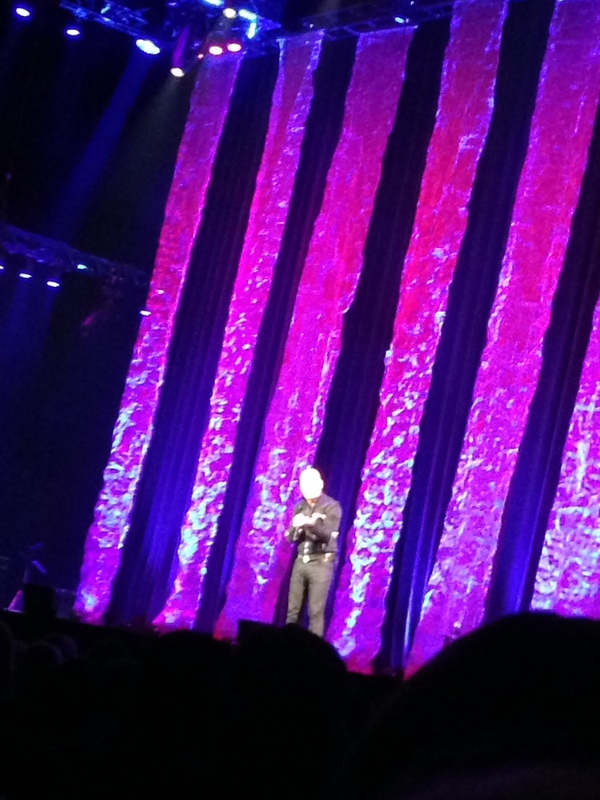 Well, let’s just say his smirky, dull-as-dishwater routine proved a theory I have that comedy opening acts are there chiefly to make the main show seem that much funnier. 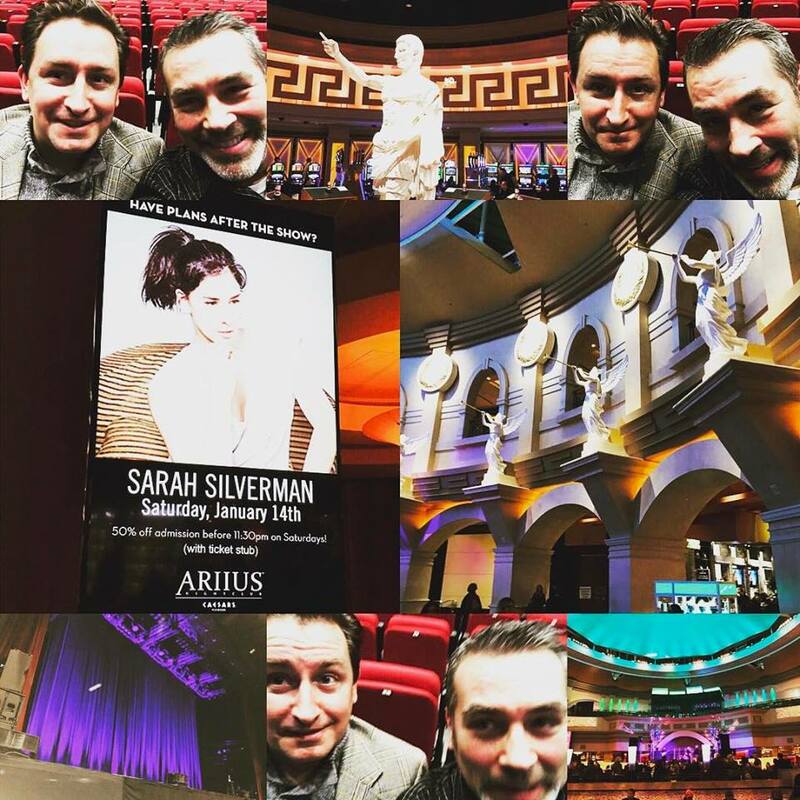 If Silverman comes to a casino near you, you are safe to spend that extra 20 minutes at the buffet or slot machine or gift shop or whatever people do in those garish places, until she finally comes onstage. Regardless, Silverman’s gift chiefly may be in planting seeds and making you question your own perceptions of what is right and wrong in this society of ours. Much has been written in the past few months about the danger of “normalizing” aberrant behavior from our elected leaders. A true feminist has the agency to talk openly about whatever, whenever, with no apologies. Consequently, voices like Silverman’s are more essential now than ever. If there is an artist who ain’t gonna normalize anything, it’s her. And that’s how trees get planted. The other day over lunch with my pal Neil Simon (the consultant, not the playwright) I started to elaborate on a point I made earlier (apropos of nothing) on a blog entry about Gone With The Wind, namely that I love comedians who can mix bawdiness with self-deprecation, raunch with childlike whimsy, spiteful take-down with satiric absurdity. If a comedian is just mean or arrogant or gross for the sake of achieving some false sense of superiority over his or her audience, I ain’t havin’ it. For me, Richard Pryor wins out every day over Eddie Murphy. Kathy Griffin or Joan Rivers get the prize over Lisa Lampanelli or Sarah Silverman. I’d rather spend an afternoon with Stephen Colbert, Lewis Black, or Whoopi Goldberg than Dane Cook, Kevin Hart, or Bill Maher (maybe). The list goes on. 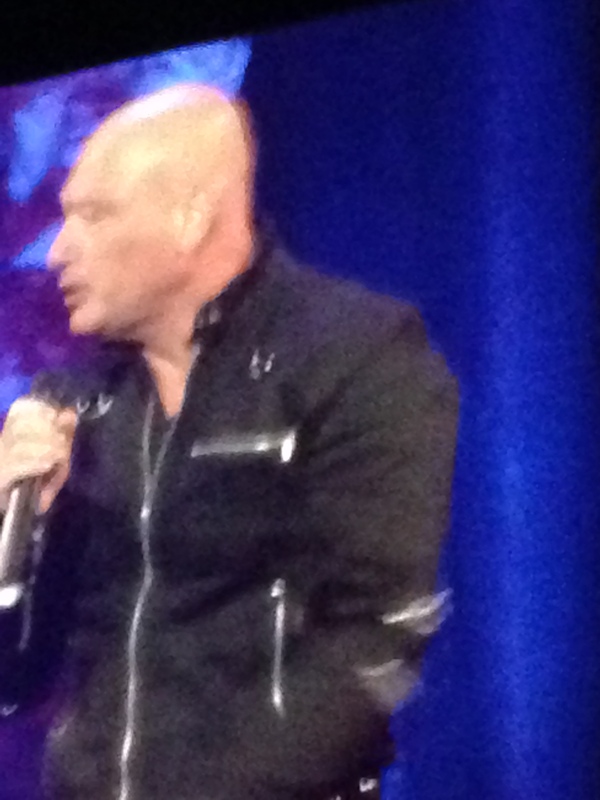 I’d never really given much thought to how I feel about Howie Mandel, though. Like Gallagher or Carrot Top, he made my junior high self laugh with abandon over the funny voices and the latex gloves on his head, the germaphobia and the OCD. I never watched St. Elsewhere – he may have been genius there. I just don’t know. I adored his charming children’s show Bobby’s World in the 90s, and it always amused me greatly that his helium-voiced alter ego also doubled as the vocalizations for Gizmo in Gremlins and Skeeter on Muppet Babies. As I got older, Mandel just seemed to disappear into the margins. 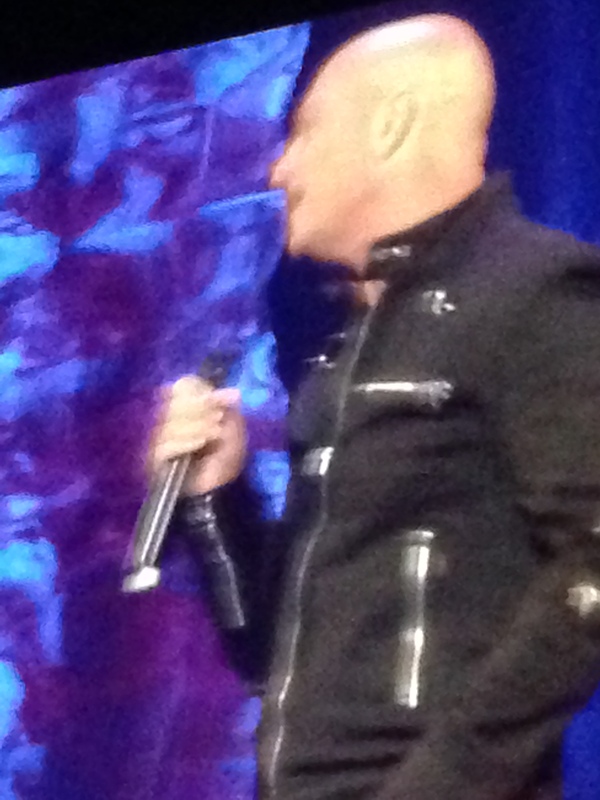 I may have unfairly lumped him into the buffoonish band of novelty comics, or maybe he just became complacent, hosting game shows (Deal or No Deal) and talent contests (America’s Got Talent) and shaving his head and growing silly-looking “soul patches” on his chin. Regardless, Mandel presented a remarkable show, reminding, at least this viewer, what made Mandel great in the first place. His routine on Saturday night was a mix of prepared and improvised material, free-wheeling in its delivery and free-ranging in its topics. With a boyish pluck, Mandel brought down the house, riffing on audience members’ foibles and any information they recklessly volunteered. His silliest and funniest moments came at the expense of two security guards downstage who seemed more interested in staring at each other than in protecting the funnyman. Yet, Mandel was never mean nor cruel; he was ever-playful and as hard on his own eccentricities as those of the targeted audience members. 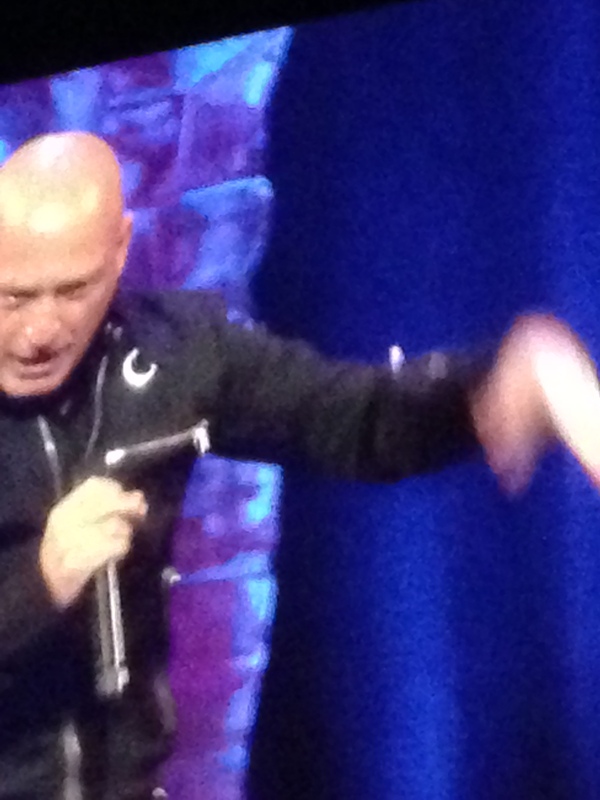 Mandel was plenty “blue” in his material, but it never offended as he comes across more as a little kid laughing at his own farts than a skeezy old man who bullies those around him with dirty jokes. You know the type I mean, right? You’ve seen such pricks (sorry for the colorful euphemism) at your high school reunions or at family picnics? “Hey, you, listen to something really filthy here. Does it make you uncomfortable? Yeah? Good! I win!” Mandel’s not like that at all, thank goodness. Back to Mandel. He shared with the audience that earlier on Saturday he had become a grandfather for the first time, and, rather than coming across as cloying or preachy (a la someone like Bill Cosby), he used said news in clever and irreverent ways to introduce such tried and true Mandellian topics as … his omnipresent fear of germs; the torture of being on the road 24/7; his love for his wife as expressed by torturing her daily with public tomfoolery; the highs and lows of being part of nationally beloved reality shows on the Peacock Network (En…BEEEE….Ceee! ); and so on. 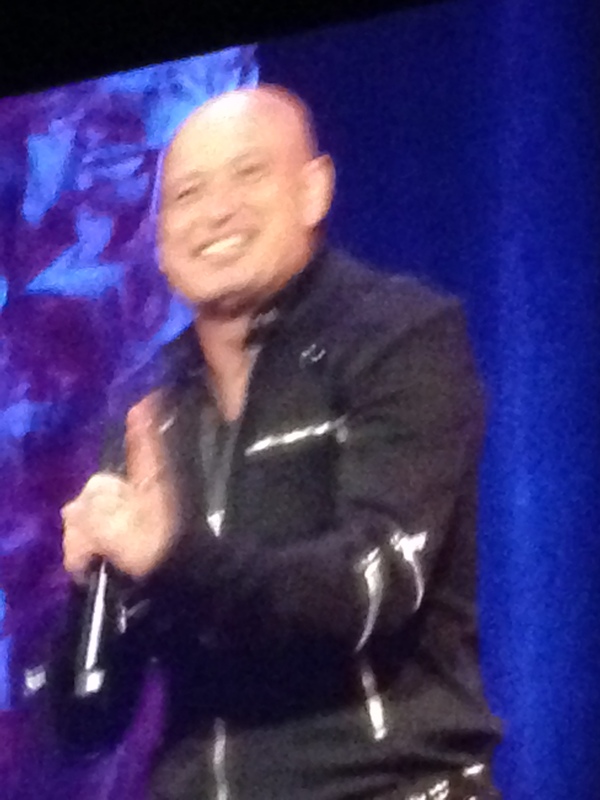 Seeing Howie Mandel live is an interesting phenomenon. A forgotten comic (at least to me) becomes vital, vibrant, possibly even essential in that setting. The electricity of his intelligence and his wit, the kindness in his heart, and the acerbic view he projects toward this ridiculous planet make him very winning, indeed. I’m sure the TV shows and the merchandise and the appearances rake in the moolah, but here’s hoping the third act of Mandel’s storied career gets him back on stage, alone and live, with no yellow-and-black briefcases full of money nor aspiring warblers from Topeka. 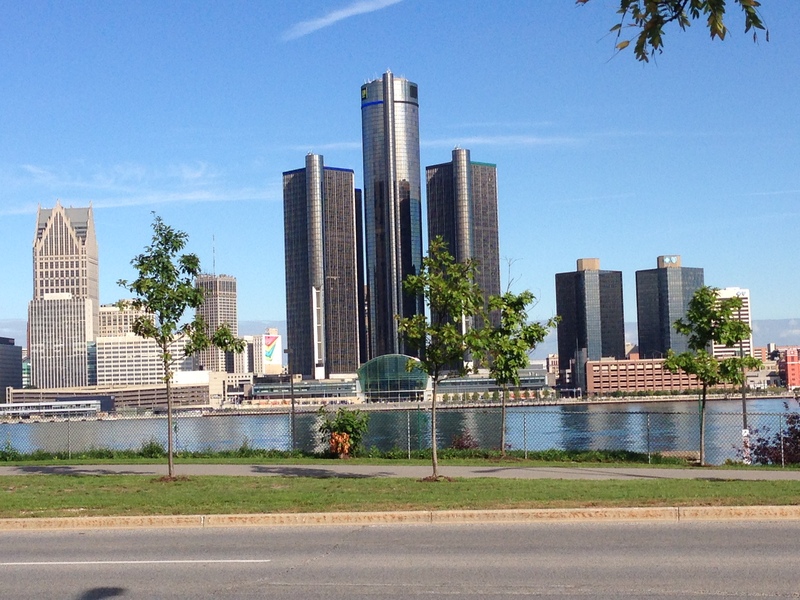 Detroit always looks best from … Canada? ©2014 Turner Entertainment Co. and Warner Bros. Entertainment Inc. 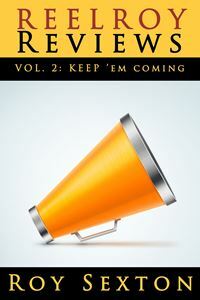 I often opine that no one reads my blog. That’s not exactly true anymore, but like comedians I’ve loved – Kathy Griffin, Carol Burnett, Don Rickles, the late Jonathan Winters, and recently departed Robin Williams and Joan Rivers – being self-deprecating is a way of life … and a good strategy to try to keep the gremlins away. So, if somebody reaches out, tells me they read this blog, and asks me to share something nifty with all 12.5 of you readers out there, I do it! Warner Brothers checked out my humble efforts here and sent me a transcribed interview with top fashion designer Bob Mackie who is best known for costuming entertainment icons such as Carol Burnett, Cher, and many others, providing his signature approach to costume design. Y’see, 2014 is the 75th anniversary year for producer David O. Selnick’s masterpiece (and my mom author Susie Duncan Sexton‘s favorite. film. ever.) Gone With the Wind. 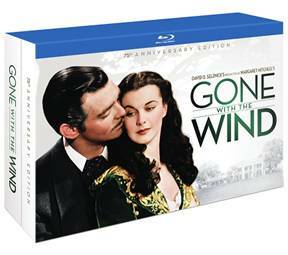 And all kinds of fancy stuff has been planned in celebration….and here’s the commercial: Warner Brothers upcoming limited and numbered release, Gone with the Wind 75th Anniversary Ultimate Collector’s Edition on Blu-ray™ packaged with new collectible packaging, new memorabilia and new special features ($49.99 SRP) goes on sale September 30th at your favorite retailer. 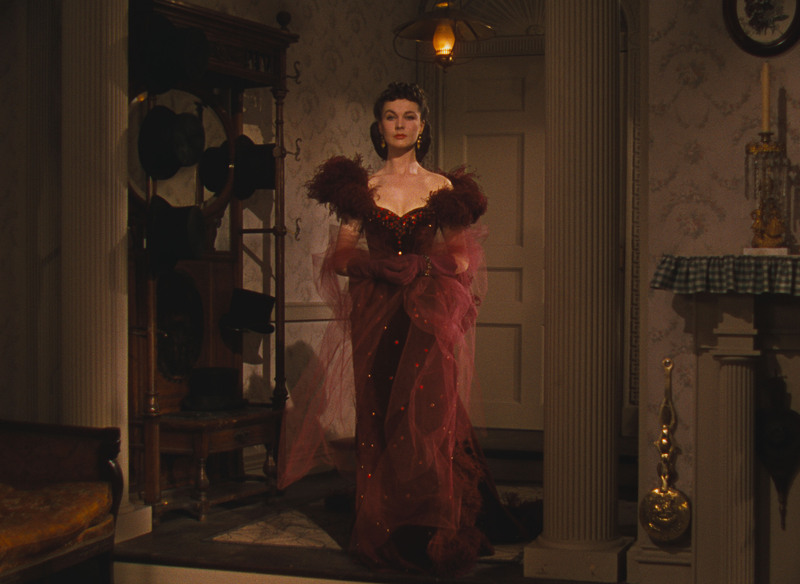 More than perhaps any other movie, the costumes in Gone with the Wind brought the story to life. 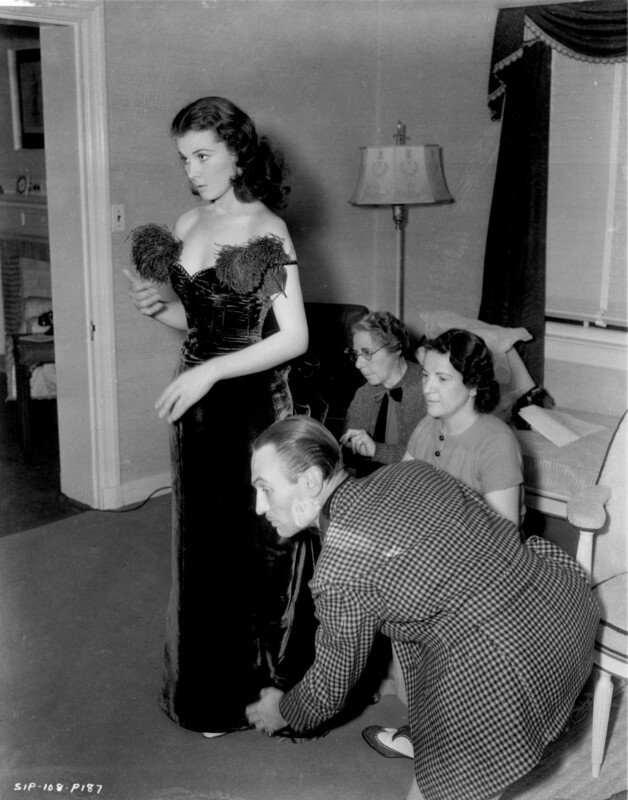 From the crinoline hoops to the underskirt cages, costume designer Walter Plunkett and his team of seamstresses went to painstaking lengths to create the hundreds of elaborate costumes – including the famed ball gowns that epitomize the Southern Belle – for the film. Many of the gowns required multiple versions reflecting different states of wear and tear to correspond with the different phases of the movie – pre-Civil War, during the war and after the war. Consider that the war made it difficult, if not impossible, to access the luxurious fabrics and details because the fighting made the trade routes too dangerous, you’ll see this reflected in the costume design. It’s the details like this that transport you to another world and which inspired so many other fashion designers. You designed the famous curtain dress for Carol Burnett Show for the infamous parody segment back in 1976. This year, Gone With The Wind celebrates its 75th year. How did the parody come to be? Where did your inspiration come from? On the Carol Burnett Show we often did parodies of classic old movies. It was inevitable that we would eventually take on Gone with the Wind, probably the most iconic and most seen film of the time. Everyone in the TV audience knew the moment “Starlett” (Carol) took the drapes down from the window and dragged them up the stairs that she would soon reappear wearing a dress made from the drapes. For me, in the real film when Scarlett appeared in her curtain dress, it was already hilarious. So for several days I agonized over what to do with the drapes. When an audience expects one thing and you surprise them with something else, usually you get a reaction. Well, when Carol proudly came down the stairs wearing the drapes – with the curtain rod included – the audience went ballistic. They say it was the loudest and longest laugh ever recorded on television. As a costume designer I was relieved; I got my laugh. What elements of the famous dress worn by Scarlett O’Hara did you incorporate into the parody dress worn by Carol Burnett? 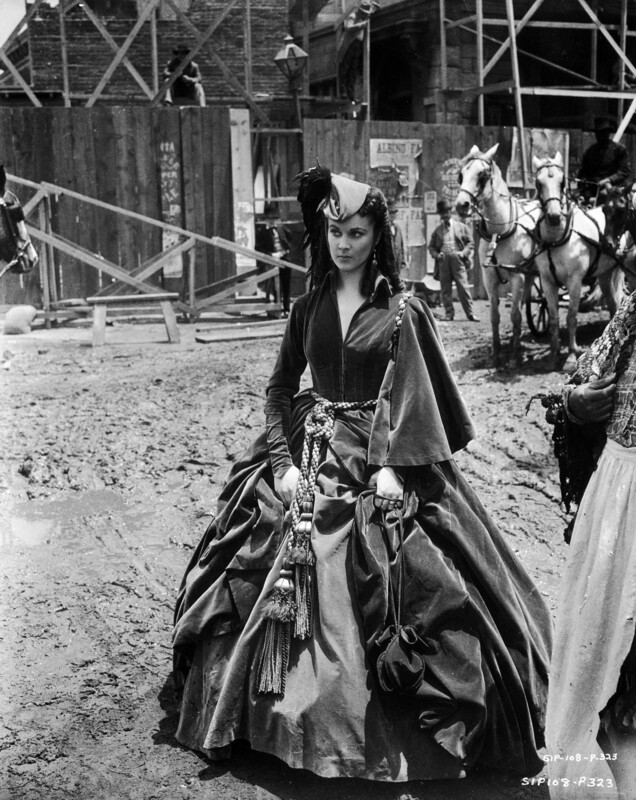 In the film, Scarlett was often quite ridiculous (thank God for Vivien Leigh). For Carol to parody her was not a real stretch, and what juicy material to satirize. What do you most love about Gone With The Wind? Gone with the Wind is one of those films I can never turn off. If I come upon it while channel surfing, I will stay up all night ’til it finishes. How did the movie inspire you as a Fashion Designer? Does it continue to resonate with you today? The film’s costume designer Walter Plunkett called me after seeing our show and asked me if he could have my sketch of the television version of the curtain dress. I was honored and thrilled! 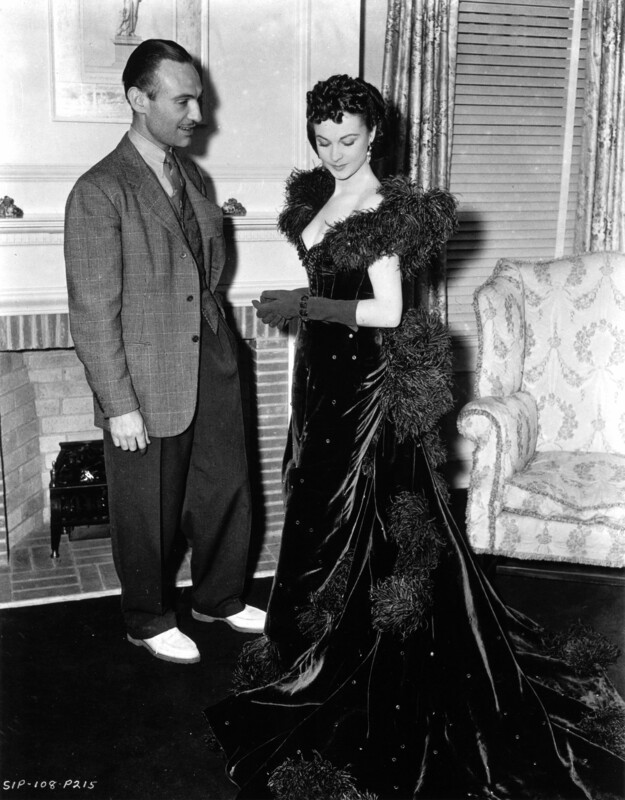 Mr. Plunkett was one of the most esteemed period costume designers of the Golden Age of film. He also designed my favorite musical film Singing in the Rain. 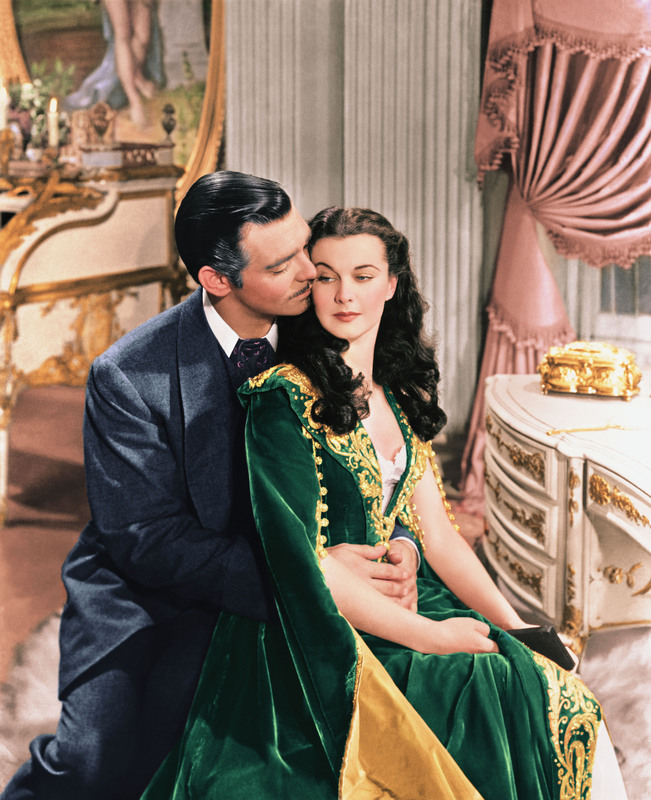 What fashion secrets can real women borrow from Scarlett O’Hara and Gone With The Wind? Should women give a damn about what others think? The film Scarlett was ruthless in her fashion choices. She knew what she wanted and was never afraid to push the boundaries of what the proper lady of the 1860s would or should not wear. She certainly didn’t care what other people thought. Today fashion is a little too free, easy and sloppy. Oh, well. Time marches on.